Our chiropractic and weight loss center offers safe and natural weight loss programs to help our patients feel better, look better and enjoy the benefits of healthy weight parameters. 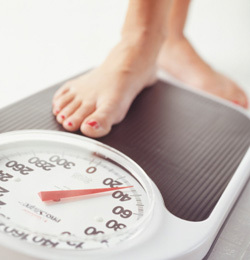 Are you Serious About Losing Weight? Metabolic Program – is a multipronged approach to increase your metabolism and shed unwanted pounds. Red Light Therapy – If you’ve been trying to get rid of stubborn belly fat and can’t despite diligently exercising, red light therapy can get you the results you want. It’s also an ideal therapy for those who don’t like to work out or don’t have time to exercise. Contact our office today! You won’t have to make any radical changes in your lifestyle with this program, … have surgery, or take any harmful drugs. Your treatments are private and you can start to lose up to 1/2 a pound per day, depending on your size, age, condition of your body and follow through. You will consult with Dr. Thomas personally for follow up and questions. Once you’ve reached your desired weight, you’ll have your shape back, have more energy, and you’ll have your self-esteem back. I have lost 24 pounds in just 21 days. I was skeptical but I have to tell you, based on my results, I would recommend this to anyone who’s ever had a problem with getting weight off and keeping it off. Enter your name and email address to receive a FREE report on Weight Loss and learn how we can help! I completed the 360 Weight Loss program and lost a total of 35 lbs and 8 inches in 2 months. It was an easy plan to follow and the weight loss technology they have is amazing!! It’s now a month later and I’ve kept the weight off and I’m still losing! Thank you 360 Weight Loss! The easiest 15 lbs I’ve ever lost! I completed the weight loss program and not only did I feel better and have more energy, but I lost 15 lbs with little to no exercise. The best part is I’ve kept the weight off since finishing the program! When I started this program, I didn’t believe it could happen. I started out a skeptic, as I’ve tried a lot of things over the years. I’ve read a lot of books, bought a lot of DVD’s but nothing has worked as fast, or as well as this amazing program. I’ve lost 30 pounds and packed on some muscle, so don’t tell me it can’t be done. Once I got married and had two kids, my weight just kind of came all of a sudden. I didn’t want to look like I did, so I called, and low and behold, it was true. I’ve lost 36 pounds in just a few weeks, and 17 inches, so I’m happy. This has been a Godsend to me and I’m looking forward to another 25 pounds by Christmas. My wife and I completed the weight loss program and lost about 50 lbs together! It was easy! The best part was changing our eating habits for good. It was a complete lifestyle change! We felt better and looked better. Plus, it was great doing it as a couple. We have recommended the program to everyone we know! I lost 18 lbs! I had tried Jenny Craig and Weight Watchers and neither worked for me! This actually worked for me! If I can do it, anyone can do it! They have weight loss technology that accelerates fat loss even more! Just follow the program!